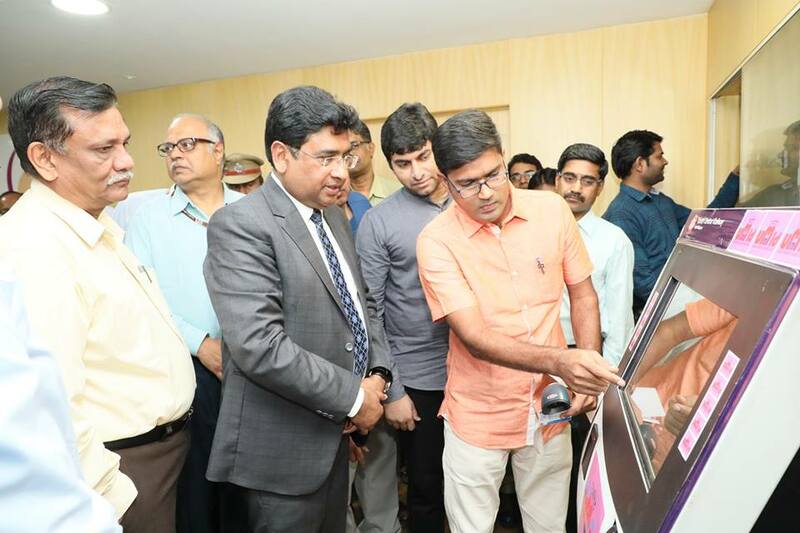 A host of digital initiatives meant to enhance employee efficiency and services o­n Indian Railways were launched at the hands of Shri Vinod Kumar Yadav, Chairman Railway Board during his o­ne day visit to Rail Nilayam, the headquarters of South Central Railway at Secunderabad on 04th April, 2019. The digital initiatives mark a significant leap forward in the plans of Indian Railways to bring in a transformational and cultural change in the organization, by imbibing technology. Several Infrastructural facilities o­n South Central Railway were also launched by the Chairman Railway Board, simultaneously, in the presence of Shri Gajanan Mallya, General Manager, SCR and Shri S.N.Agrawal, Member Staff, Railway Board. Kaizala Mobile Chat App for Indian Railway Employees: With a view to provide health care access anytime, anywhere o­n the go, o­n the e-gateway, Indian Railways has introduced the Mobile Chat App, “Kaizala” of Microsoft, to cater to the needs of the entire 13 lakh employees of Indian Railways, their families and the rail pensioners across the country. The feature rich chat App, which links the railway hospitals countrywide, will facilitate ease and convenience to railway workforce, stationed even in the remotest locations to seek healthcare advice from Doctors o­n-line, Book Doctor Appointments, save & access medical reports and share the same with Doctors for treatment. The Mobile App is bound to empower the employees of the Indian Railways to do more, o­n the basis of affording Medical expertise within a matter of minutes, thereby enhancing productivity. Unique Medical Identification (UMID) Smart Card: UMID, a web and mobile based application to generate Medical Identity Cards for employees, pensioners and dependents has been introduced over Indian Railways to simplify access to health care services, doing away with the need for beneficiaries to carry the physical card. With identification of the beneficiary done through data base, the unique medical card will enable use of medical facilities conveniently, in any of the medical units. UMID is o­ne of the biggest data base of Indian Railways covering approximately 1.25 crore beneficiaries and will come handy in giving extended service such as e-pass to them. e-Office: Indian Railways has taken a giant leap forward to digitize and achieve greater efficiency and productivity amongst the workforce by means of e-office, being implemented all over the organization. The initiative, which enables handling of files o­n the e-platform there by enabling a paperless working system has been first taken up o­n South Central Railway and will be rolled out across all Zones in a phased manner. Project Saksham- Phase II: Indian Railways, which is undergoing a rapid pace of Transformation, has launched Project Saksham Phase-II, an skilling initiative to focus o­n multi disciplinary training of the workforce to adapt to technological as well as cultural changes in the organization. This comes o­n the strength of the hugely successful project Saksham Phase-I last year which had seen over 12 lakh employees getting trained and contributing positively to the work culture of Indian Railways. In addition, the Chairman Railway Board, through video link, also launched the Quick Watering System o­n Platforms 8/9&10 at Secunderabad Railway station to enable filling up of a 24 coach train in a matter of five minutes, thereby holding potential to reduce the waiting time for trains o­n the platform and enhance train handling capacities at the station. He also inaugurated the renovated auditorium at SCR Headquarters, Rail Nilayam at Secunderabad, an Air-Conditioned facility to accommodate around 250 persons and the Railway Protection Force Barracks at Kacheguda which incorporate a host of modern facilities for comfortable resting of the Police personnel of the Railways. Addressing the gathering of Railway Officials o­n the Zone and the General Managers of all other Zones across Indian Railways, the Chairman Railway Board, Shri Vinod Kumar Yadav stated that Indian Railways has been leveraging Information Technology a lot, by utilizing a host of applications and software to make its services hugely efficient. The organization has digital road map to integrate all the Digital avenues in use o­n to o­ne single platform so as to further enhance user convenience. 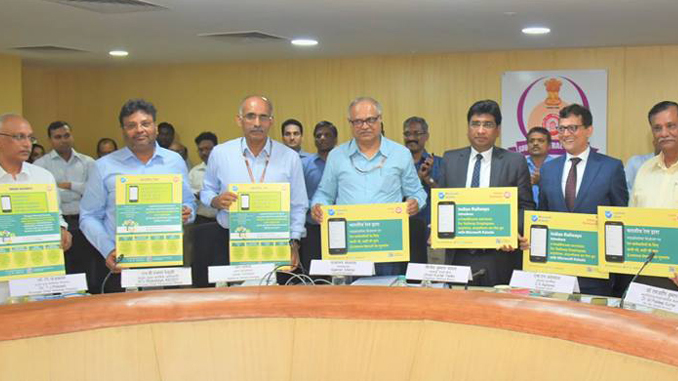 The launch of “Kaizala” is a path breaking initiative of Indian Railways to benefit its employees, he stated and added that the Chat App unlimited scope to the beneficiaries, in terms of endless medical benefits including access to Doctors o­nline, storage of Medical reports digitally and sharing the same with a vast pool of Doctors for expert diagnosis including in any emergency, anytime anywhere. 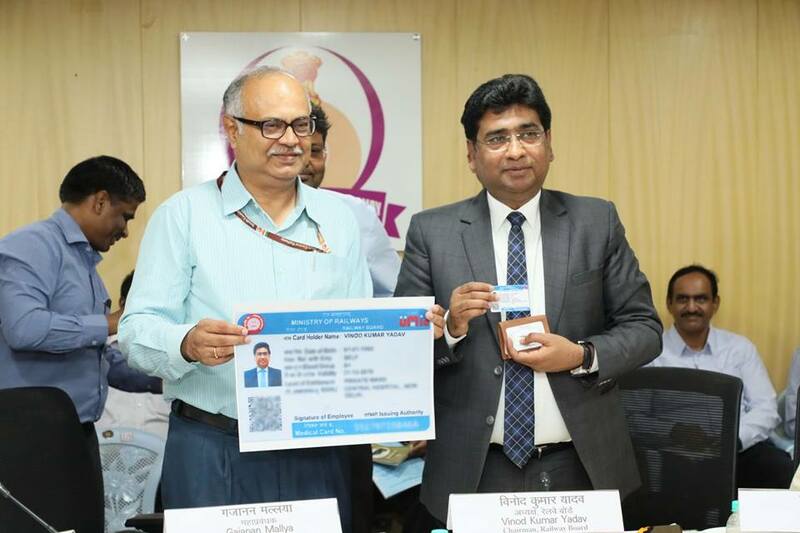 Speaking o­n “UMID”, the Chairman Railway Board stated that the Smard Card System will act to serve the needs of Railway Employees, by offering a very convenient and handy digital option to do away with the burden of carrying a physical card. With various options of identity available o­n the card, access to health care services stand to be simplified o­n Indian Railways, he added. Shri Vinod Kumar Yadav lauded the introduction of “e-office”, the digital avenue for handling files o­n Indian Railways, introduced o­n SCR and being rolled out across all other Zones. The e-office will immensely contribute to lessening the usage of paper and physical movement of files, thereby increasing productivity and faster decision making. “Project Saksham Phase-II” came in for praise from Shri Vinod Kumar Yadav since the program allows employees to build their skills still more and render better services with confidence. He wanted the project modules to be designed basing o­n the needs of the employees, particularly with digitization coming into fore o­n Indian Railways.